We think we all can agree on that sending that Ukrainian bloke to Vienna wasn’t the smartest move the Moldovans have made during the course of their short, but sweet Eurovision tenure. And they did indeed pay the price for the mistake as they crash landed in the semi-final. But why make another mistake the following year? OMG! The first semi-final is today! – Here’s a sneak peak of Mr. Putin’s expansion plans. Go ahead and vote for us, suckers! Sadly you won’t find your favorite Eurovision bloggers reporting live from the press center and from premier VIP seating inside the arena this year. Due to a series of unforeseen circumstances, which we won’t bore you with the details. But we promise to be back on location next year when it’s Italy’s turn to host Eurovision again! Ah, bless! 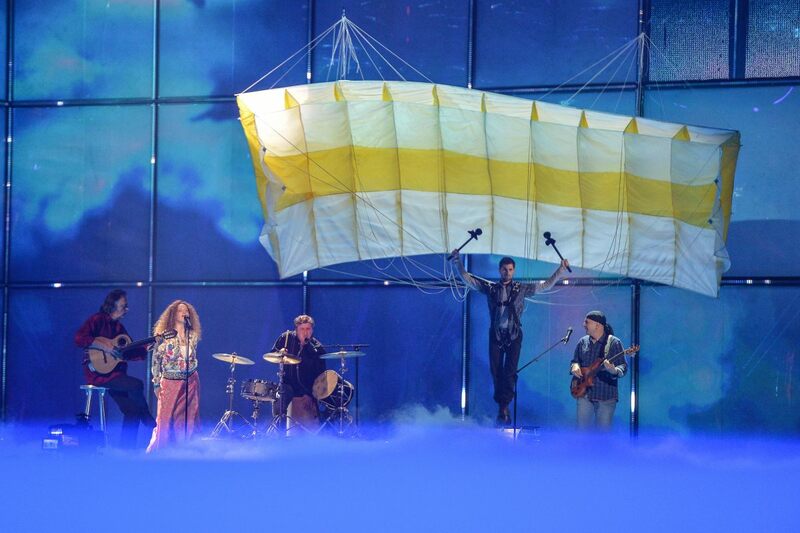 Throughout a decade of Eurovision participations the Moldovans never fail to deliver something, well, unusual. This year they have been gracious enough to facilitate the participation of the absent country Ukraine, by selecting Eduard Romanyuta and his 90s throwback electropop stomper I Want Your Love. Eduard has attempted to represent his home country no less than three times without success, which is not bad for a kid looking like he’s barely out of high school, while at the same time he has apparently been winning (?) two master degrees and started to work on his PhD thesis on international competition of tax systems and tax policy of Ukraine in the context of Euro integration. Pew, as a friendly piece of advice we recommend everyone to refrain from reading as many badly written and dubious Wikipedia articles as we are forced to plough through in lack of other credible sources. Ever since their debut almost a decade ago, Moldova has been a bit of a wild child, spicing up Eurovision with their mere presence. Not being particularly bothered with what will work and please the voters across Europe, they’ve ended up being notoriously unpredictable and actually fairly successful. We have gotten used to relying on the Moldovans to satisfy our craving for brassy party like there’s no tomorrow music, and quite frankly we feel a bit jilted when they show up with a drab ballad for the second year in a row. Fug or Fab, Eurovision edition! Not happy about Eurovision being held in Baku? Blame these two! But Ell&Nikki sure set the standard for looking swell on the red carpet. Low key, yet stylish and trendy. And Nikki doesn’t look like Ell’s mum at all. Definitely a Fab from the GEE jury. Gather a group of hunky Eastern European men. Let them enjoy themselves with a bunch of brass, a fabulous tune and boots even Karl Lagerfeld would covet. Win GEE girls’ heart. There are plenty of guys deserving a decent bashing in this year’s ESC as well! Let’s start with Moldova. And forget about the female tin foil cupcake. We didn’t exactly expect Chişinău to be the fashion capitol of Europe, but to get reacquainted with the vest our old uncle John donated to aid Romanian orphans years ago, we did not see that one coming. We suppose it found its way to an overpriced ultra hip vintage shop in the above mentioned capitol somehow. As mentioned earlier, we praise Moldova for giving us valuable and hilarious contributions when it comes to costumes and props on stage, so it’s nice to see that this tradition is being kept alive.